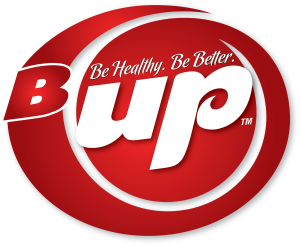 B-Up® Protein Bar—crafted with vanilla and/or chocolate cookie bits, creamy white yogurt frosting, or delicious dark chocolate frosting. 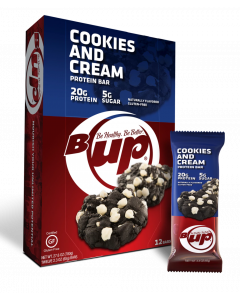 Made with high quality whey and milk protein isolates and tapioca fiber. No corn fiber, no sucralose, no preservatives, low sodium, gluten-free and naturally flavored.